In March 2008 Graphic Designer Alex Ostrowski made the decision to "visit happiness", and (much like Oliver James! 5m/15s) embarked upon a pilgrimage to Denmark to find it. 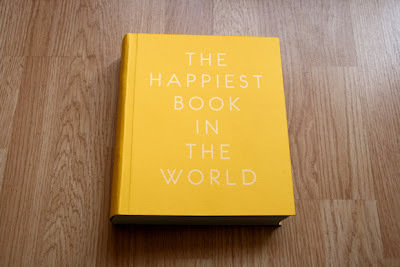 On his return he presented his experience in to "The Happiest Book in the World". "In one way or another we are all looking for happiness. Some people even say that man's sole purpose for existence is to hunt down and capture this intangible and elusive treasure. In 2006 researchers at The University of Leicester concluded that Denmark is the happiest country in the world - this was good enough for me." On Tuesday 24th March, during The Affluenza Exhibition, Alex will be showing his work, and in conversation with a selection of others, partake in a discussion entitled "Happy Design for the Future".